Did you see the Halloween projects I posted for the Control Freaks blog tour? It seems early to be thinking about Halloween, but it's less than two months away! You should be ordering your favorite Halloween goodies now so you'll be ready to get right to crafting when October rolls around! Here's another card I made using the Halloween Bash stamp set from the brand new Stampin' Up! 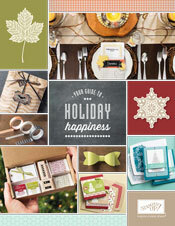 Holiday Catalog. I incorporated the Witches' Brew Washi Tape and Designer Paper, cut with the Hexagon Punch. Ready for more Halloween? 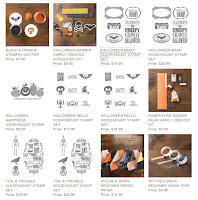 Check out the August "Best Of" Stamp Set from Stampin' Up! It's Best of Halloween. Click here to see all of the "Best Of" stamp sets in my Online Store. Don't forget, you'll earn a free $14.95 stamp set when you purchase six "Best of" sets!